This Game Is Now Available As Public Version. Previously, Minion Shooter Was In Early Access Mode. 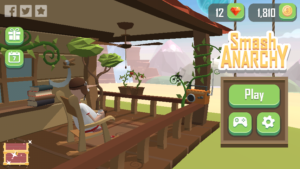 In This Game, You Protect The Last Coffee Plant In World From Alien Monsters. 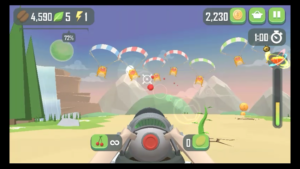 You Have A Custom Fruit Gun With Unlimited Fruits, Just Navigate Towards The Waves Of Enemies And Tap/Tap/Tap To Shoot Grumpiest Squad. Squad Of Grumpiest Will Try To Eat The Last Coffee Plant, But You Need To Protect It At All Cost. So, You Have To Stop Enemies Coming Near The Plant. They Can Come By Bus, Parachutes, And From Any Sides. 10 Different Bosses[Having Special Skills], 3 Modes, And Two Type Of Controls Option. You Can Switch To Any Control Option Any Time Even When You’re Playing Game. Overall Its A Great Shooting Game With Cool Graphics, Characters, And You Can Play This Game Offline. If You’re Looking For A Simple Time Killer Fun Shooting Game Then You Should Play This Game. Size – 50MB/VARIES[Approx. ], Price – Free[Contains Ads, In-App Purchase], Download – Here[Google Play Store].